You might have passed by many co-ops in your day, but a surprising number of people don’t understand exactly what a co-op is. In a co-op, it is the customers that have the power of ownership in the business. Co-ops make money, but that money is turned around to benefit the members of the co-op by investing in the local economy through outreach programs, charities, social benefits, and even school and group programs. Co-ops also tend to be quite successful with 90 percent still in business after five years. While both co-ops and corporations are generally in the business to make money, the difference is that co-ops tend to have a higher rate of overall success and they invest directly in their local economy. 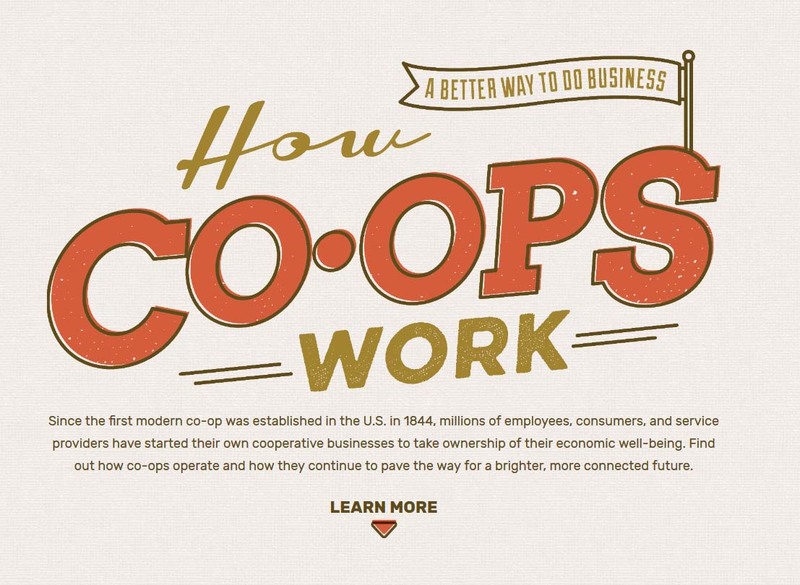 Learn more interesting facts about co-ops by visiting the following interactive infographic by Cabot Creamery.